• Prep your backyard. Trim up the shrubs, plant some fresh flowers and decorate with little American flags or festive pinwheels in the flower pots and gardens. Mow your grass two days before to give the trimmings a chance to settle into the ground. If you’re really ambitious, power wash your patio and driveway (or hire someone to do it for you!). • Get the grill in gear. Give your grill’s surface a thorough brushing and/or remove the grates and soak them in soapy water before scrubbing. Wipe down the exterior and clean out underneath to remove any built up debris. Check your propane tank and pick up an extra to keep in reserve, or stock up on charcoal – you don’t want the flame to go out while you’re cooking everyone’s dinner! • Make your pool sparkle. At least a week before, take a water sample from your pool to the local pool store to have the chemical levels checked. It may take a few treatments to get things ready for swim season and your Memorial Day festivities. Give the steps, skimmers and benches a good scrubbing and brush the walls and bottom of the pool to stir up any dirt or algae that has settled and get it moving to the filters. Lots of pool stores have fun decorations for your pool, like floating flags or light covers to change the appearance of the water color. • Organize a few games. While not typically a fireworks holiday, you can still get a bang out of your barbeque by filling balloons with confetti and letting the kids pop them. Hang some from a tree to make a piñata, play hot potato, or set up a game of musical chairs to pop them by sitting down. o Combine the ingredients in a large pitcher and stir. Chill in the refrigerator for at least four hours. 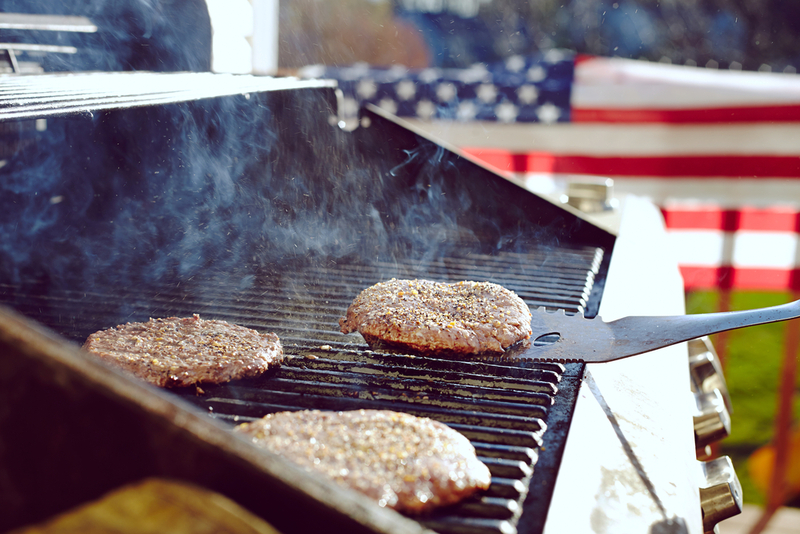 Have a fun backyard barbeque and remember to think of those who have given their lives in service to our great country!